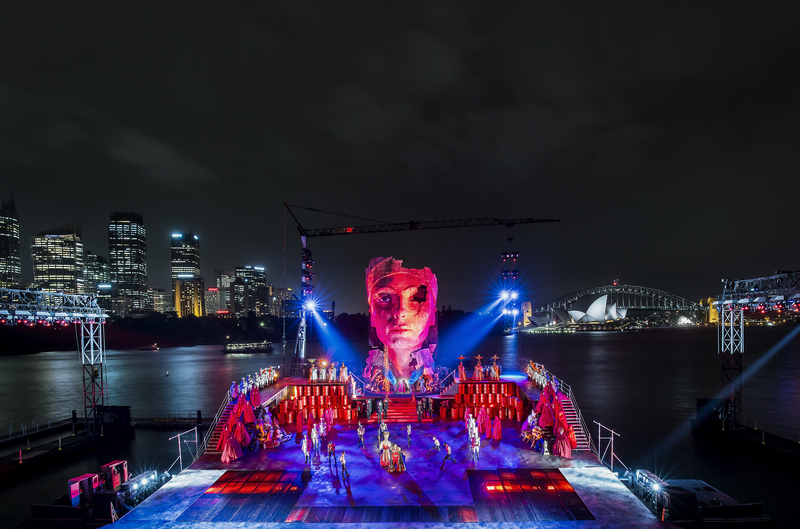 Spectacle is a pre-requisite for Opera Australia’s Handa Opera on Sydney Harbour – and Turandot doesn’t disappoint, offering plenty of visual thrills without resorting to tacky glitziness. Nor does it ever feel that the stage is full of colour and movement just for the sake of it. What’s more, with Dragana Radakovic as Turandot and Riccardo Massi as Calaf, the production is led by principal singers who are able to command the huge space with their magnetic presence and powerhouse vocals. 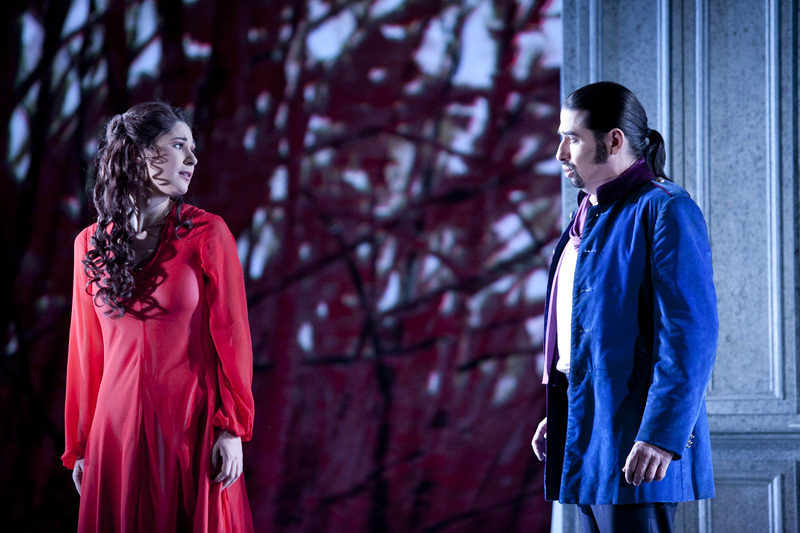 Set in a fantasy China, Puccini’s final (and unfinished) opera tells a barbaric tale. Turandot, the ice-cold princess, demands that her suitors are beheaded if they fail to answer three riddles. The score includes many glorious melodies (some of which draw on Chinese tunes) and, of course, the well-known aria Nessun dorma. Given the one-dimensional stereotyping of Asian women in Turandot and Puccini’s Madama Butterfly, Chinese-born New York-based director Chen Shi-Zheng has knocked back many offers to direct both operas, but allowed himself to be talked into it now by OA artistic director Lyndon Terracini. In interviews, Chen has said that he aims to present Princess Turandot as a more complex and believably human figure, while also seeing her as an embodiment of China with its centuries-old suspicion of the West. Whether he achieves that is debatable. Despite a superb performance from Radakovic, Turandot (who explains in an Act II aria why she hates the foreign princes who come to woo her) doesn’t really come across as any more nuanced a character than usual. Be that as it may, Chen’s production tells the story with great clarity. He uses the vast stage well and is adept at ensuring the focus is where it needs to be. Dan Potra’s design is dominated by two major set pieces. On one side there is a giant, fire-breathing dragon whose tail suggests the Great Wall of China onto which images are projected. There’s also a towering pagoda studded with sharp spikes resembling dragon scales, from where Turandot looks down on the world below. The tower has a (wobbly) drawbridge on which she gradually descends with each riddle that Calaf guesses correctly. The dragon imagery extends to Turandot’s gorgeous, shimmering silvery white and blue gown. Potra’s costuming makes clever use of colour, pattern and sparkle without over-doing it, while Scott Zielinski’s dramatic, coloured lighting creates many stunning effects. The one design element that looks odd is the Emperor’s throne, which moves through the air on a crane like a gigantic flying sofa. 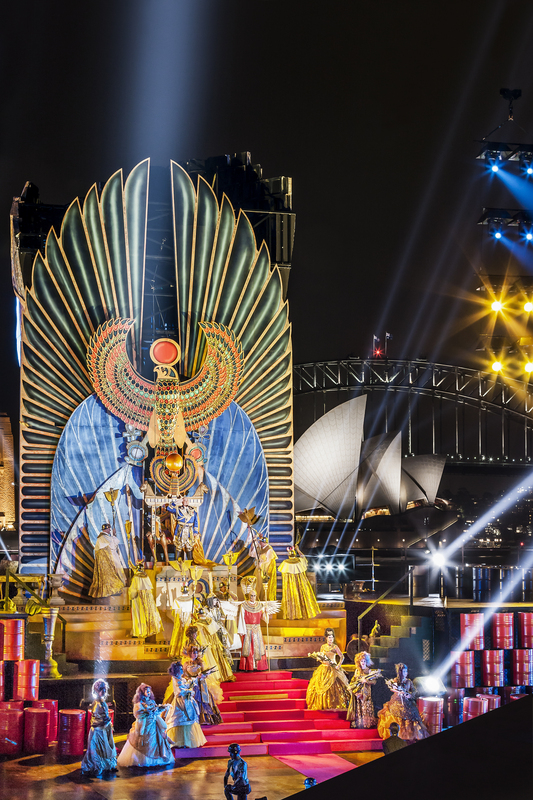 Handa Opera on Sydney Harbour is now in its fifth year and fireworks have become an expected feature. Turandot doesn’t offer many obvious moments for their inclusion so they explode after Nessun dorma. It’s not ideal but given the audience’s rapturous response to that most famous of arias it works OK, though keeping them to the end might have been better. Chen has also done the choreography, which draws on martial arts for the guards, while Turandot’s female attendants glide around the stage, sending their billowing sleeves flying through the air. As with his direction, the movement serves the story and production beautifully. Radakovic, a Serbian dramatic soprano, is an impressive, imperious Turandot with an exciting, powerful voice that has a glinting, steely quality at times, which suits the character. Massi is magnificent as Calaf. The Italian tenor is a tall man, giving him a commanding, heroic presence. He exudes enormous charisma and warmth, matched by his beautiful, rich, burnished voice. In a sensitive rendition of Nessun dorma he builds the aria perfectly, bringing the house down as he soars to the climactic top B. (The production features two alternating casts, with Daria Masiero as Turandot and Arnold Rawls as Calaf heading the other). Liu, the slave girl who secretly loves Calaf, is at the emotional heart of the opera. Hyeseoung Kwon who has sung the role previously for OA is heartbreaking. She sings with a moving lyricism, while portraying the character with more strength and resolve than is often the case. Her torture has you wincing and her suicide is very moving. There is terrific work from Luke Gabbedy, Benjamin Rasheed and John Longmuir as the comic courtiers Ping, Pang and Pong who have plenty of choreography to negotiate while singing. Conal Coad as the blind Timur, David Lewis as the Emperor and Gennadi Dubinsky as the Mandarin all offer strong support, while the chorus is marvellous. The Australian and Ballet Orchestra, conducted by Brian Castles-Onion, gives a fine account of the score and while you are always aware of the amplification, Tony David Cray’s sound design is clear. With its combination of spectacle, clear story-telling and superb singing, Turandot should appeal to both regular opera-goers and newcomers. Having Chinese as well as English surtitles is also an astute move as OA seeks to broaden the audience for what has become a key event on Sydney’s arts calendar. Rossini’s comic opera The Barber of Seville, written in 1816 when he was just 24, is a wonderfully silly romp with the anarchic spirit of the narrative fun and games encapsulated in the sparkling score, which is full of catchy but complex melodies. It’s hard to imagine a production that captures all the hilarity better than this one from Elijah Moshinsky. I’ve seen it several times now and it’s always a laugh-out loud delight. If you need a tonic, give this a go. First staged by Opera Australia in 1995, and revived here by Hugh Halliday, you’d never believe that the production is 21 years old. Instead, it feels fresh as a daisy. 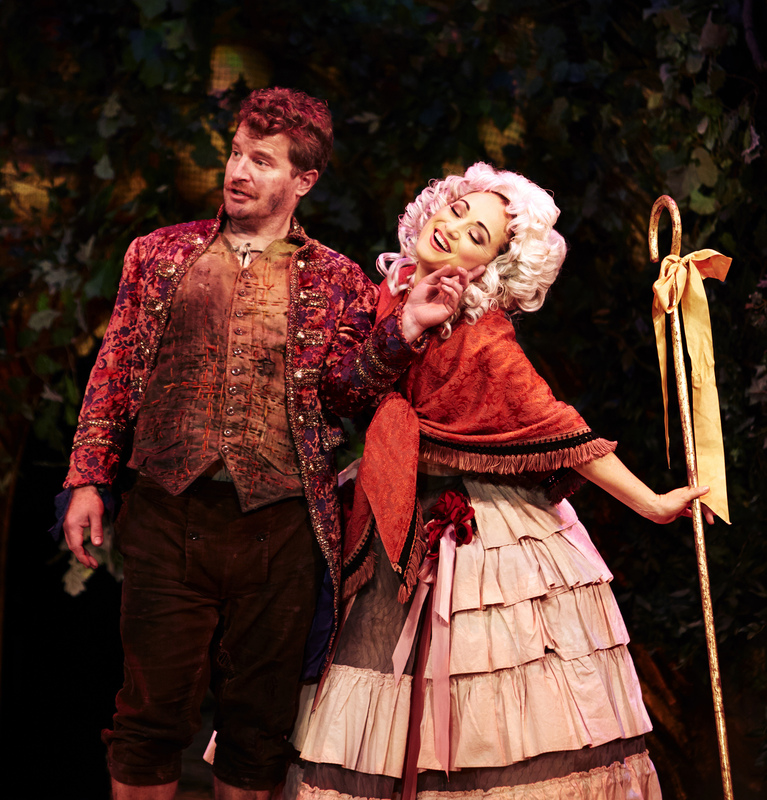 Adapted from Beaumarchais’ play, the plot revolves around Count Almaviva’s attempts to win the delectable Rosina from under the nose of her aging, rather odious guardian, Dr Bartolo, who wants her for himself. Aided and abetted by the barber Figaro – the go-to man if you need anything sorted – Almaviva enters Dr Bartolo’s house in various disguises and comic mayhem ensues. 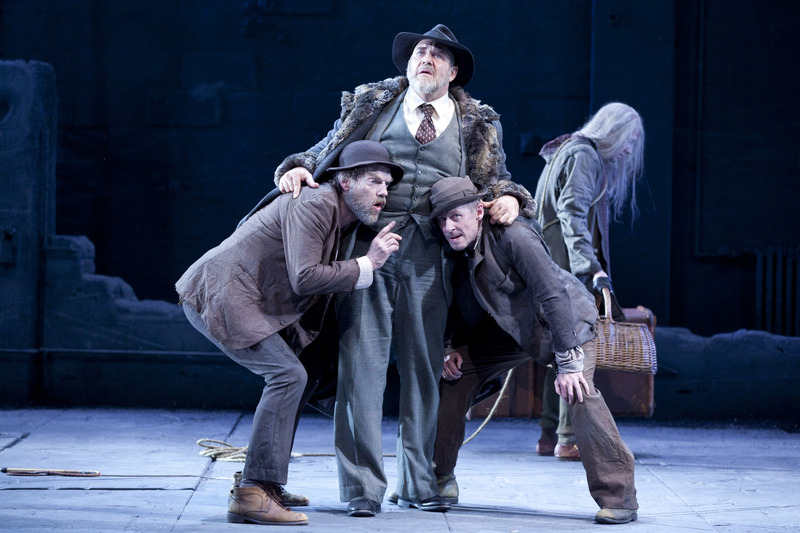 Moshinsky has updated the action to the 1920s with boaters, bicycles and Buster Keaton-style shenanigans inspired by the silent movies – an era and style of comedy that suits the opera brilliantly. 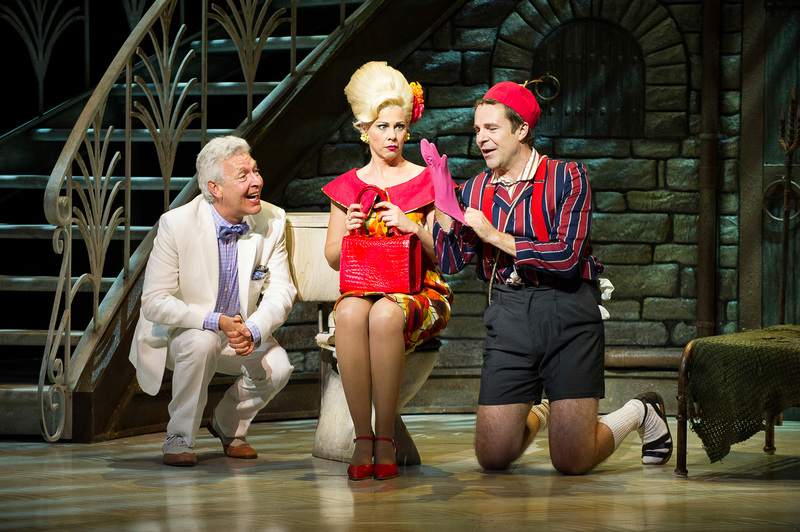 The garish, cartoon-bright set by Michael Yeargan and costumes by Dana Granata are a hoot in their own right. Yeargan puts an open house on stage so that you can see into various rooms, upstairs and downstairs, at the same time from Dr Bartolo’s surgery to Rosina’s bedroom and the drawing room. Loudly patterned wallpaper makes an eye-watering statement, while Granata’s equally bright costumes add to the visual fun. Delicious comic moments abound: a miniature terrace of houses from which small-scale, motorised figures of Bartolo and Rosina emerge as from a cuckoo clock; the barber shop scene with customers (and two theatre ushers) shrieking beneath steaming hot towels only to emerge beautifully coiffured; a bicycle ride through a storm staged like a segment in a silent film; Bartolo’s hapless patients who leave his surgery in worse shape than they arrived; and the police traipsing through Bartolo’s house and squashing into his surgery in Keystone Kops fashion. There’s so much going on visually it could dwarf a mediocre cast, but the performers assembled here not only have the goods vocally but the acting and comic chops to pull it off brilliantly. From the second Paolo Bordogna bounds onto stage from the auditorium as Figaro, he charms with his puppyish energy and wonderfully rich baritone. He plays the role to the hilt, always completely in the moment. His facial expressions are priceless, he has the measure of the broad comic style to a tee, and his lithe physicality is matched by his agile voice. He really is a charmer and the ideal Figaro. 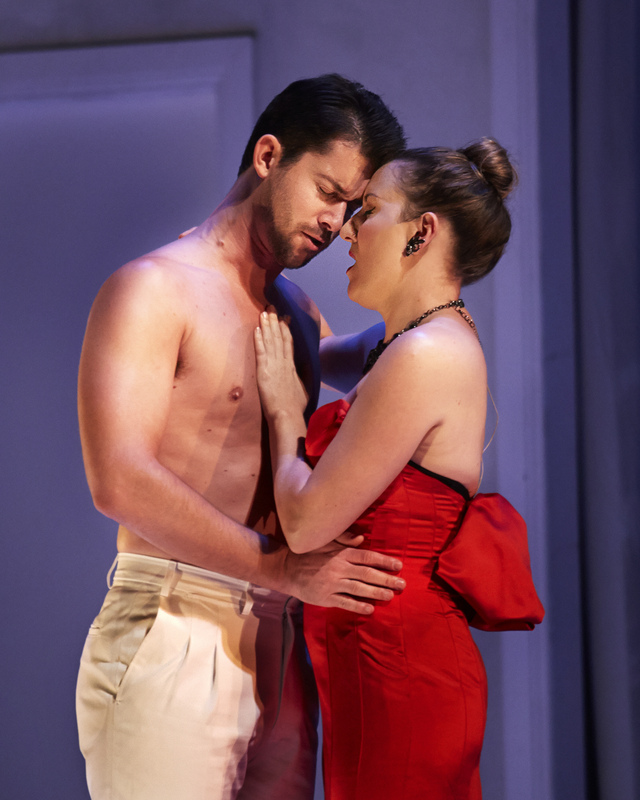 Anna Dowsley, who has established herself playing pants roles such as Cherubino in The Marriage of Figaro, Siebel in Faust and Tebaldo in Don Carlos, shows that she has the sparkle and charm to be a leading lady. She captures Rosina’s pertness and clear-eyed determination to get what she wants, and sings beautifully, her shining mezzo secure yet flexible. American tenor Kenneth Tarver has a lovely, smooth voice and a warm stage presence, while Warwick Fyfe is a knockout as the creepy Bartolo (returning to the role, which he played when the production was last staged in 2011). He is a fine comic actor and sings superbly. 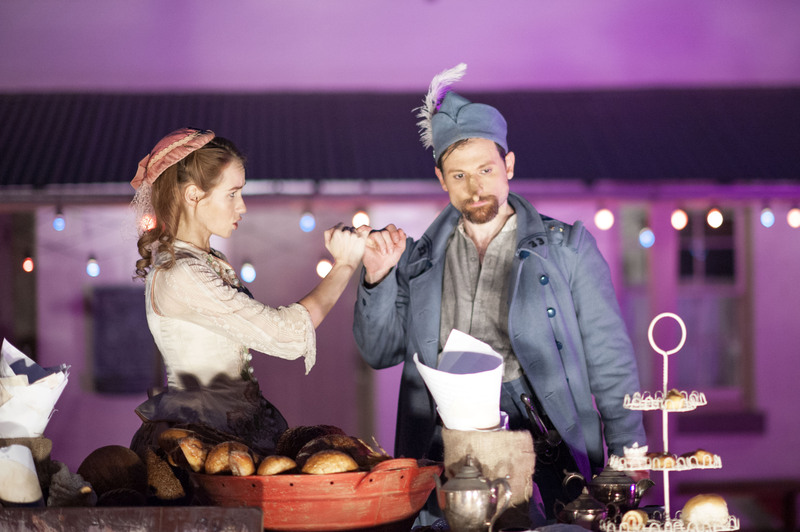 There are also impressive performances from David Parkin as Don Basilio, Jane Ede as Bartolo’s housekeeper and Samuel Dundas as Almaviva’s servant Fiorella. Dundas also gets huge laughs as Ambrogio, Bartolo’s silent servant, who shuffles around zombie-like in filthy uniform, a fag hanging from his mouth. With Maestro Andrea Molina conducting the orchestra at a suitably sprightly pace, you’d be hard pressed to have more fun at the opera. A complete delight. The surtitles before the start of The Chimney Sweep announce the restoration of Salieri’s reputation – and Pinchgut Opera certainly does him proud with this delightful production. Most people these days would only know Antonio Salieri’s name from the 1984 Academy Award-winning film in which he was depicted as a mediocre composer who poisoned his fierce rival Mozart out of jealousy. In truth, Salieri was more famous in his day than Mozart and almost certainly did not murder him. But where Mozart is now one of the most performed composers in the world, Salieri’s music is rarely heard. Thanks to Pinchgut – which dedicates itself to the presentation of rarely seen operas from the 17th and 18th centuries – Sydneysiders have the chance to see the Australian premiere of Salieri’s comic work The Chimney Sweep (Der Rauchfangkehrer). A huge hit when it was first staged in 1781, it all but disappeared after the mid-1800s. The Chimney Sweep is a rollicking comedy centring on Volpino, a musically gifted chimney sweep who is in love with Lisel, a cook in the household of wealthy widow Mrs Hawk and her stepdaughter Miss Hawk. Learning that Mr Bear and Mr Wolf have won the lottery and hope to marry the Hawks, Volpino and Liesel cook up a plan to better themselves financially. Pretending to be an Italian count disguised as a sweep, Volpino uses his musical skills to worm his way into the affections of the Hawks who he then auctions off to Wolf and Bear. From there it spins off into all kinds of comic complications – but as you’d expect it all ends happily. Right from the start of the overture you can hear the fun in Salieri’s music, emphasised by a quick little leap of joy by Erin Helyard, who conducts the marvellous Orchestra of the Antipodes. The music doesn’t compare to Mozart’s operas (though it is often reminiscent of Mozart) but much of it is lovely and thoroughly enjoyable. 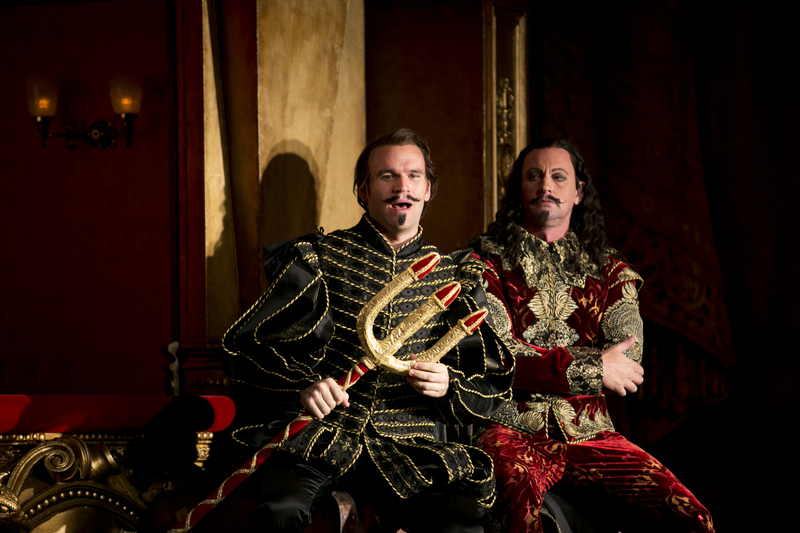 Written as a singspiel in which the musical numbers alternate with dialogue, Pinchgut performs it in English. Director Mark Gaal has translated the dialogue, while Andrew Johnston has translated the lyrics. Both have done a great job. Occasional phrases like “My god, they go ballistic” had the audience chuckling but the translations aren’t so tricksy that they compromise the original 18th century setting. Gaal has staged a simple but effective production with gorgeous costumes and set by Emma Kingsbury. Performed against a gold wooden backdrop with a huge gargoyle-faced fireplace, and just a few props, Gaal uses signs (flamboyantly displayed by Gary Clementson as the servant Hansel) to announce each new location. 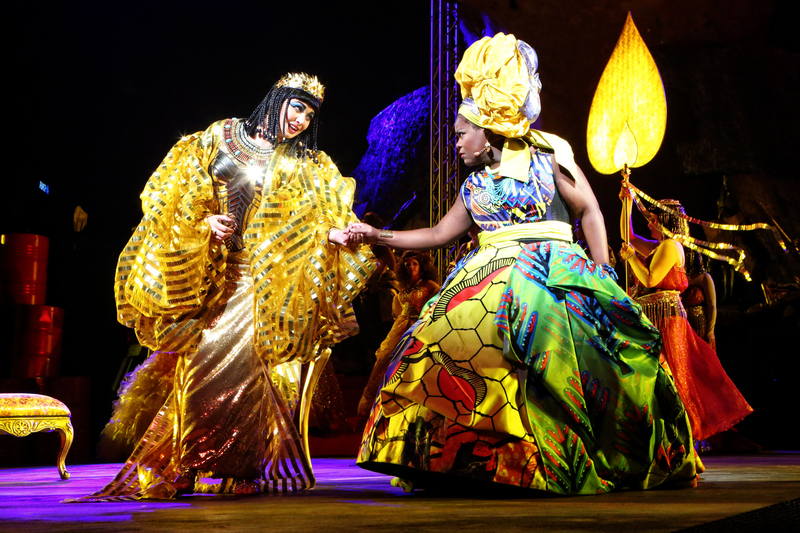 The performers all handle the dialogue and dramatic challenges extremely well, playing the comedy to the hilt, while the ladies really shine vocally. Amelia Farrugia is outstanding as Mrs Hawk and young soprano Janet Todd is also very impressive as Miss Hawk. Together they steal the show. 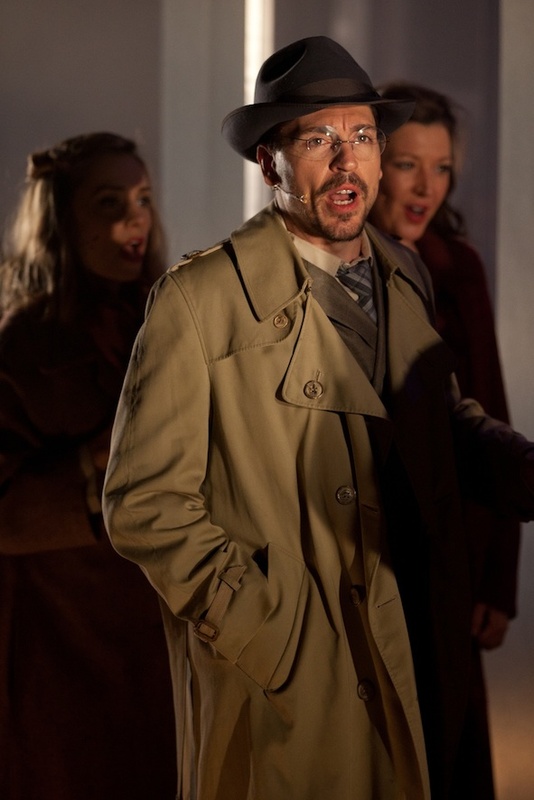 Stuart Haycock has a fairly light tenor voice but brings plenty of charisma to the role of Volpino. There is strong support from David Woloszko as Mr Bear, Christopher Saunders as Mr Wolf, Alexandra Oomens as Lisel and David Hidden as the master chimney sweep Tomaso, as well as Clementson, Nicholas Hiatt, Troy Honeysett and Sabyrna Te’o as the servants. The Sydney Children’s Choir makes up the cast as Tomaso’s young apprentices. Overall, The Chimney Sweep is lots of fun and yet another feather in Pinchgut’s already well-covered cap.